Andrej Babis is an agro-food billionaire, living in Czech, and born in Slovakia. 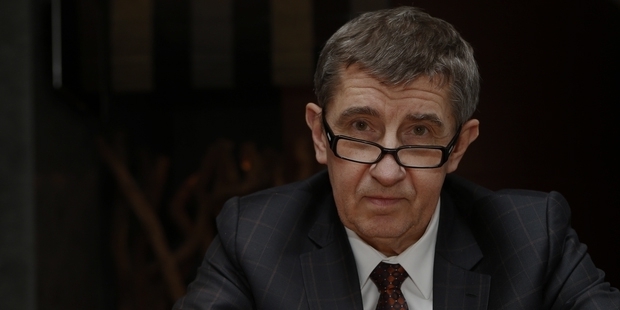 He is one of the top billionaires of Czech Republic, and he is a politician too. Son of a diplomat, he is the finance minister of Czech Republic, and a political party leader before that. He is the sole owner, the former CEO, and a major shareholder of Agrofert Group, an agricultural, chemical and food processing holding company of the country. The company is one of the biggest in Czech Republic with more than 230 businesses under its ownership, primarily in Germany, Slovakia and Czech Republic. Born in Slovakia, Andrej is the son of a diplomat and a communist party member, and nephew of Viera Scheibner and Ervin. He spent a major part of his childhood in a foreign country, and later studied international trade in the University of Economics, Bratislava. After finishing his studies, Andrej started working at Petrimex, Morocco, an international trade company controlled by the Slovak communist. Following the Velvet Revolution of Czechoslovakia, he moved to Czech Republic in 1993 and became the managing director at Agrofert. Gradually, the brand developed into one of the biggest companies of the nation. Representing a Communist Party, he is one of the most notable politicians in the country. As Agrofert was a subsidiary of Petrimex, he was still on its board. During this time, OFI, a Swiss entity, recapitalized Agrofert and took its control from Petrimex. For this, Babis was fired and sued. Soon after, he turned out as the 100% owner of the company.Upon his acquisition of Agrofert, he initially focused on agriculture, and thereafter expanded his empire by acquiring number of media businesses. Agrofert also purchased MAFRA, one of the biggest publishing houses of the country. Babis has close relations with Milos Zeman, who made sure that Unipetrol landed into Andrej’s hands. Later, Babis oversaw its sale to a Polish enterprise. 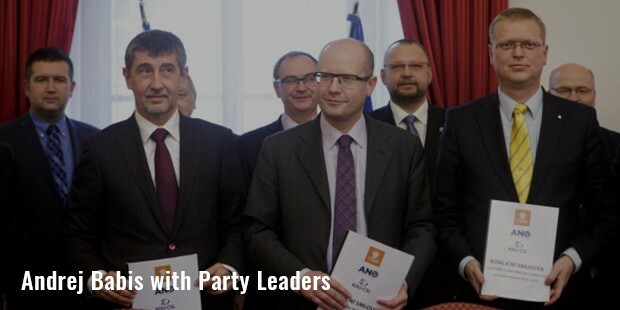 Babis founded ANO 2011, a political party with an aim ‘to fight corruption and other ills in the country's political system’. But in 2014, he was made responsible for the decline of democracy in the country and he assured that he would never fight for presidential elections. 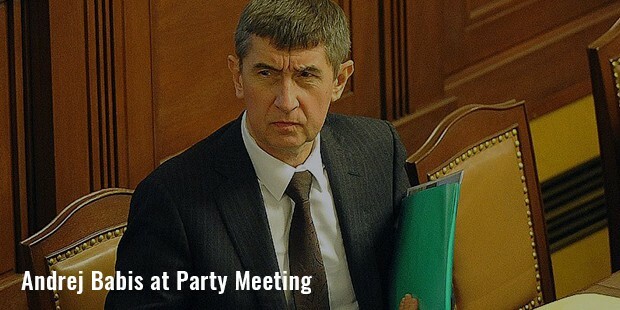 Today, he is the finance minister in a coalition government of ANO, Christian Democrats and Social Democrats.Babis is often seen surrounded by senior police officers, former communist informers and security agents.